A degree is worth an average €106,000 in a university graduate’s pocket, rising to more than double, €220,000, if they go all the way to a PhD. The figures represent the average value of a third-level qualification over a lifetime, when compared with a school-leaver and take account of the cost of college and deductions such as tax. 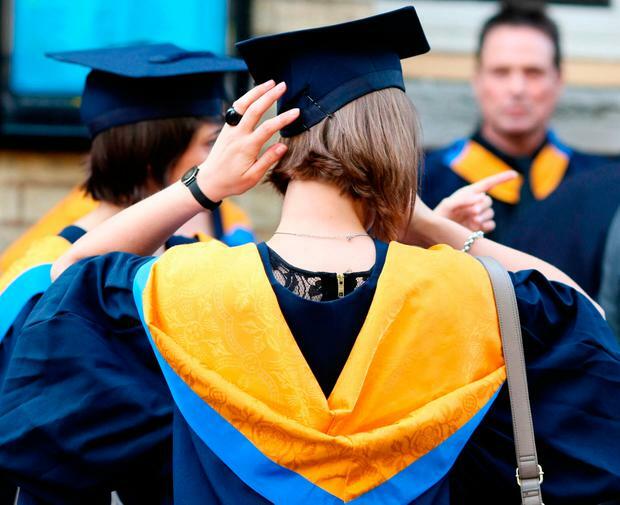 The graduate earnings premium is among a series of figures set out in a new report outlining the annual €9bn financial benefit the universities bring to the economy and society. The study, the first such report on the sector, assesses the value of universities across a range of areas. The €9bn payback includes €2.8bn in direct employment and knock-on business, €2.6bn in the lifetime income gain for each years’ graduates, €1.6bn in the lifetime gain to the Exchequer from higher taxes paid by each year’s graduates, €1.5bn from research and development and €386m from international students. The research was conducted by consultants Indecon on behalf of the Irish Universities Association (IUA), which is engaged in a major campaign for a step-up in State funding. IUA director general Jim Miley said it showed universities were not only centres of innovation, producing well-rounded, employable graduates, but also generated “a cash surplus for the State over the long-term”. “This surely provides a compelling case to prioritise the reform of the funding model for higher education,” he said.